Some quick sketches from the more stationary moments of this past weekend. Quick stop to weather a storm at Townshend's tea house on Alberta. 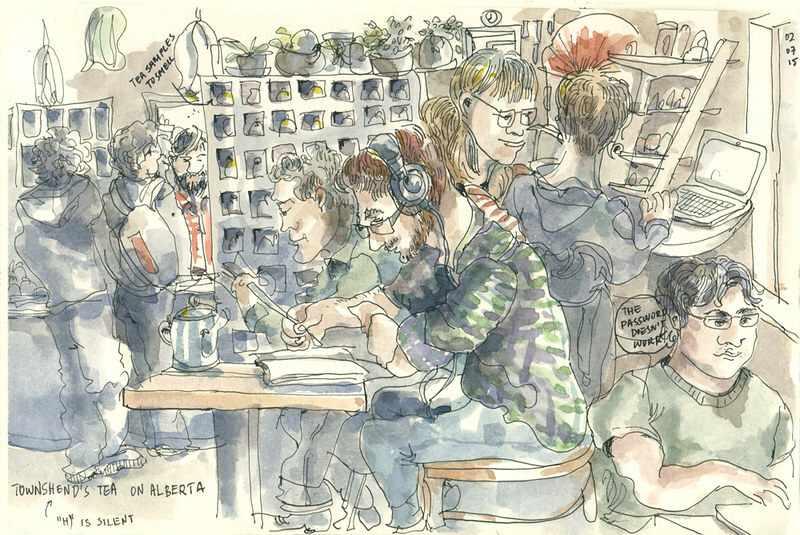 Folk are busy typing away on their notebooks, catching up with friends, doing homework while sipping tea. 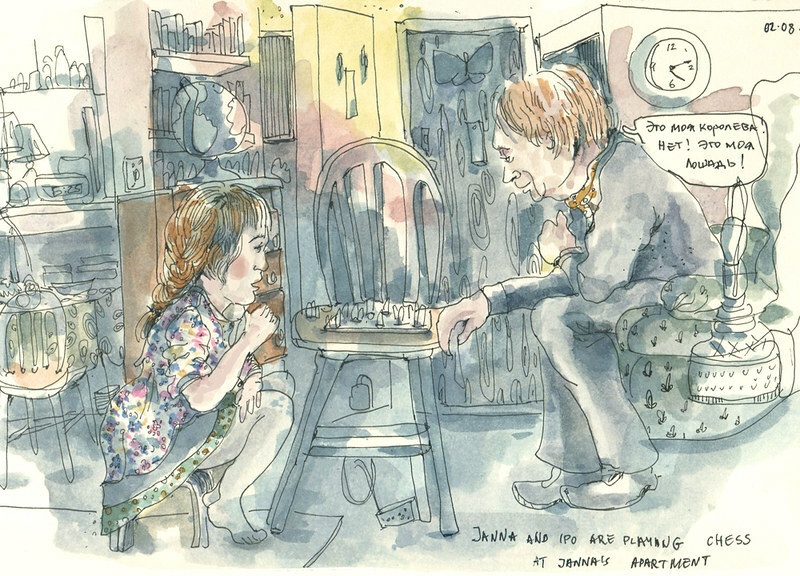 The following day I sketched my daughter Isabelle (6) play a game of chess with my grandmother who is 80 years older. There was some confusion about the rules or even what the pieces are called but both had fun at the end.